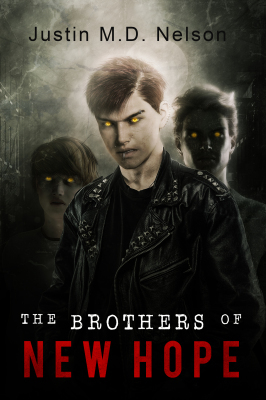 In a small town, three brothers have given into the darkness. But something even more sinister, centuries in the making is on its way. Simon, Samuel, and Seth Bell do not remember who transformed them into vampires, or for what purpose, or why their parents did not survive. All they know is that they have to struggle to adjust to their new state of being, living in the small town of New Hope. They must also cope with their endless thirst for the blood of humans. As more and even stranger creatures arrive in New Hope threatening all who live there, the town's darker side is brought to light, relationships are tested, and the brothers find themselves mixed up in a battle spreading across the continent, centuries in the making. "The Brothers of New Hope" is now available through Amazon. Be sure to leave a review. In his first anthology of short fiction, Justin M.D. Nelson introduces readers to occurrences of the strangest, and most terrifying kind. This is Justin M.D. Nelson's first collection of short fiction, containing seventeen dark and gothic stories. A few have previously been published, but most are new to the public eye. Take a breath, and enjoy the tales of just a few of the dark occurrences that happen all around us. 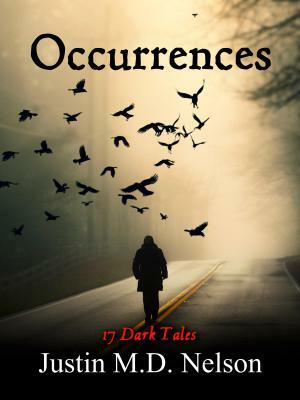 "Occurrences" is now available through Amazon. Be sure to leave a review.